Aston Martin to revive Lagonda brand | What Car? Aston Martin will revive the legendary Lagonda name from 2012, using it to launch a whole new range of large luxury models. The revival of Lagonda is seen as crucial to the expansion of Aston Martin's product portfolio beyond sportscars and into high-performance, luxury saloons. Lagonda was founded in Staines, Middlesex in 1906, and was incorporated into Aston Martin after the Second World War. The first Lagonda concept car will be shown in 2009, with sales set to begin in 2012. 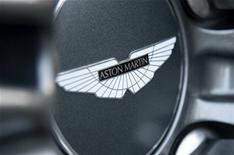 It is expected the brand could push Aston Martin into up to 70 new countries, including the lucrative Russian market. The Lagonda designs are yet to be finalised, but Aston Martin boss Ulrich Bez has said the cars will have a unique look and be 'exclusive, luxurious and truly versatile products'.